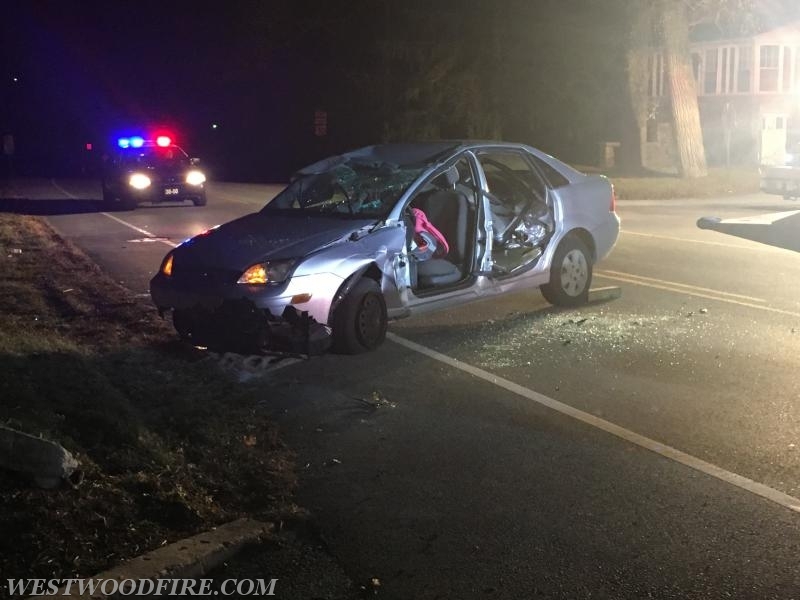 At 0211 the Westwood Fire Company was dispatched to the 800 block of West Lincoln Highway in Valley Township for an auto accident with entrapment. 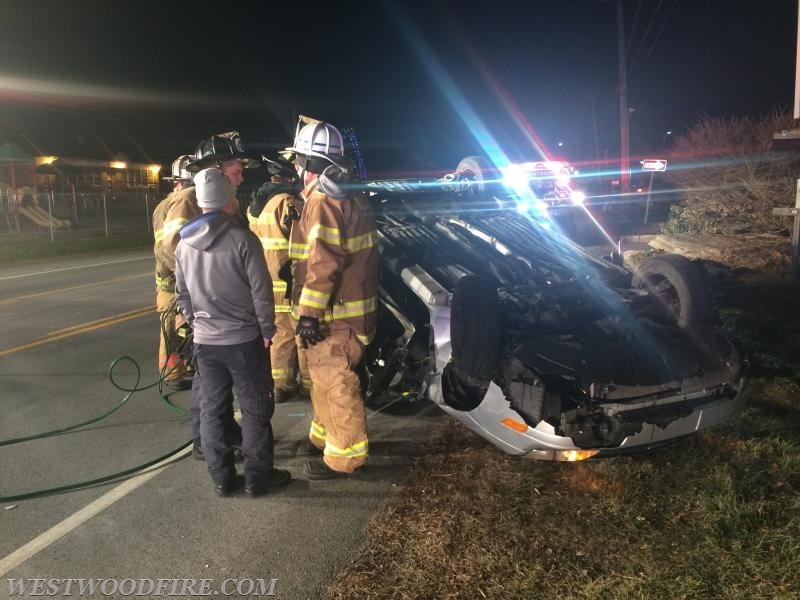 Ambulance 44-1 and Chief McWilliams made an immediate response, and were advised of one vehicle on its roof and the occupant unable to get out. Arriving within 6 minutes of being dispatched, EMS assessed the situation and determined their was a patient still inside and complaining of minor injuries. The best way for the patient to be removed was for the driver side of the vehicle to be opened up utilizing the rescue truck. Rescue 44 arrived, protected the scene from oncoming traffic and provided lighting. 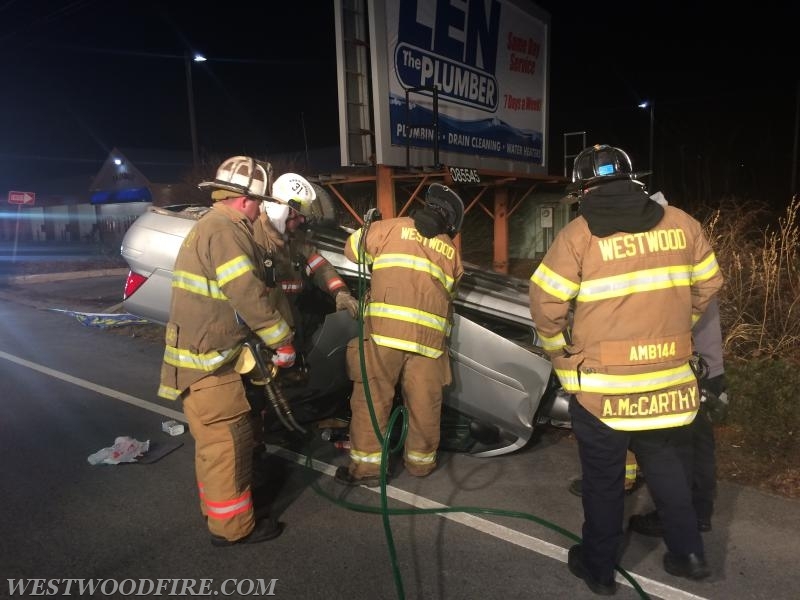 Firefighters stabilized the vehicle and went in service with the 32” spreader and the MOC-II cutter to remove the doors on the side of the vehicle. Once removed the patient was extricated and transferred to Ambulance 44-1 for evaluation. The extrication was complete within 8 minutes of the rescue arriving on location and Ambulance 44-1 transported 1 patient to a local hospital for further evaluation. All units cleared the scene at 0313. 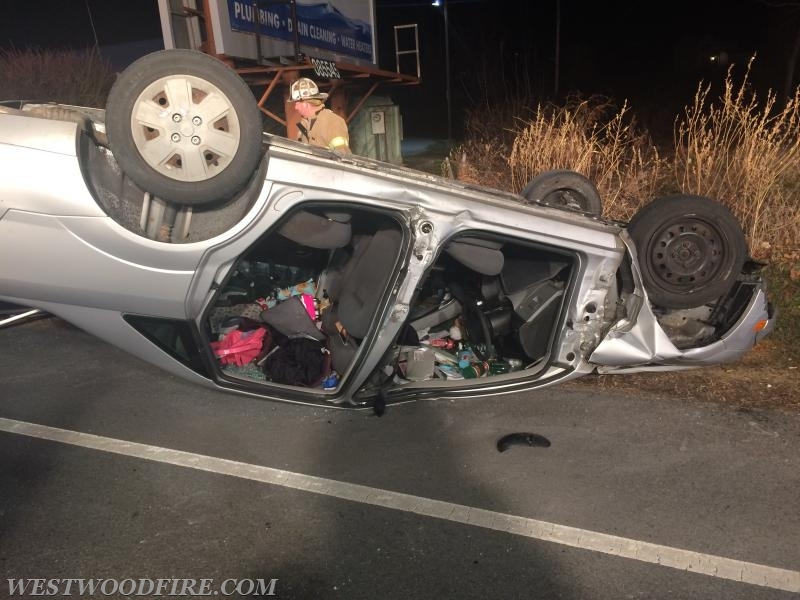 Firefighters use hydraulic rescue tools to open a car’s side to free the occupant. Firefighters discussing operations the ambulance crew. The side was opened up to allow the patient to get out of the car. Flings Towing on scene uprights the car to tow away.